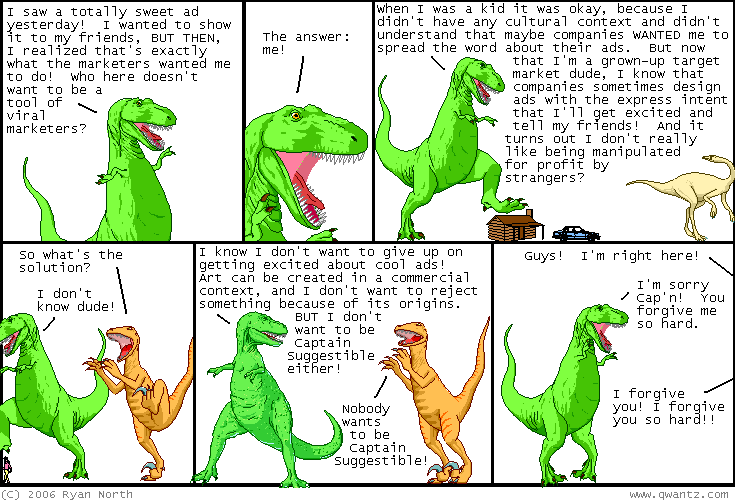 Dinosaur Comics - August 15th, 2006 - awesome fun times! –Boy howdy, did they find it this time! August 15th, 2006: Who forgot to mention that Kelly's adorable comic Patches has joined Dayfree Press? I did! You will probably like Patches if you like things that are adorable.